In August, I created and launched the Ebook Writing Workshop, which brought in $2,474.20. But the income is not the point of this article. The point is that you can create your own information product rapidly and without getting stuck in perfectionism. It’s easy to get stuck in the details when you’re creating an ebook, a course, or an online workshop. I want things to be perfect, and it has been a big problem for me in the past. However, I’ve come up with a way to bypass all of that. And in this article I’ll share a 12-step process for how I do that. Keep in mind that this is just one example of you can create and sell an information product. I’m constantly experimenting and learning, so things change over time. But as you keep reading, you’ll see what it can look like, and that will help spark ideas of your own. Before we dive into the blueprint, let’s briefly cover what an information product is. To me, an information product is simply a term for teaching something via products, which could be delivered as text, audio or video. 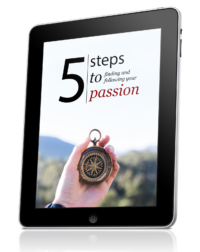 For example, my Live Your Passion Course uses audio and video along with workbooks. Another example is my membership community, you get text, audio, video, access to me, and a like-minded community. You get training, but you also get to ask as many questions as you want. Now let’s dive into the process for rapidly creating an information product that sells. In order to sell an information product successfully, you have to solve a problem. I’ve been doing this for a while, so I knew that people wanted to learn how to write and sell ebooks. It’s something people have been telling me for years. If you have an audience, you could survey them, or even offer free coaching calls to a few people to really get into what they are struggling with. If you don’t have an audience, look at forums in your niche, books on Amazon (and the reviews people leave), or other blogs and the comments there. Find a problem people have that they are willing to pay for, and solve it. Action Step: Pick one of the strategies above and see what problem you can solve that people are willing to pay for. It helps if you’re passionate about the subject. The next step is to see who’s interested. For this particular launch, I created an ebook called The Ebook Formula, which I made available for around 14 days. After that, I deleted it. I did this to encourage people to take action. It’s easy to put things off when there are no deadlines. The Ebook Formula was a short report. I created a separate page on my blog, where people could sign-up and grab it. Action Step: Think about what you can give away that is valuable and relevant to the problem you’re solving. If you help new moms lose their post-pregnancy weight, maybe you could give away a report on the common mistakes, or an interview with an expert. Within a few weeks, I had several hundred people on that list. I also made sure to set the right expectations by telling them that I had a paid workshop coming. I did not have any affiliates or partners helping me. I did all of this internally. If you don’t have your audience yet, you’ll have to hustle more. It’s always going to be tough if you don’t have an audience, which is why I recommend building a small audience before you launch your first information product. Once your freebie is in place, and you’ve got a page up for it. Start telling people. If you have an audience, this is going to be easy. Action Step: Send people to your freebie. Tell your blog readers. Send an email to your list. Recruit partners or ask friends for help. Before the first person joined my email list, I set up an automatic welcome message with a simple question to help discover what people were having trouble with. Derek Halpern has a great blog post on how to use simple questions to figure out what people want to buy from you. Welcome to the exclusive Ebook Writing List. Here’s the link to The Ebook Formula. Right-click and choose save as to save it to your computer. I have a few things to cover first. On August 20th, I’m opening the doors to the Ebook Writing Workshop. In it you’ll discover how to create an ebook in 31 days or less. Even if you don’t think you can write. Or if you think you aren’t an expert in anything. There’s going to be some fast-action bonuses available, so the sooner you get in, the more goodies you get. I’ll tell you about it on Monday! 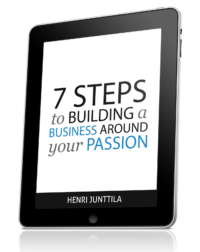 Now, before you start reading The Ebook Formula, I have a quick question for you. This question will help me deliver some nice exclusive content in the coming weeks. What is your biggest obstacle/frustration/problem with writing and selling ebooks? Thanks in advance for answering this. If you have any questions, just hit reply and I shall be at your service, okay? Feel free to copy that and use it as you wish. When people reply, I’ll often ask follow-up questions and try to learn more. I want to get the juicy specifics of what’s holding people back. Action Step: Set-up your email welcome message with a question, so you can learn more about what people are struggling with. The next step is to develop a promise for your information product. In other words, what will people get if they apply the information in your product? In my Ebook Writing Workshop, people learn to write and sell an ebook in 31 days or less. Your promise doesn’t have to be huge, but it does have to tell people what they can expect. The bigger the result you can promise, the better, but you don’t want to enter hype-land. Making a promise will make you uncomfortable, because it puts the pressure on you. Make a promise you know you can deliver on and go from there. Action Step: What result can people expect if they buy and implement what you have? This can be tough and scary, but it will make a world of difference once you sell it. If you aren’t confident in what you have to sell, why should anyone else be? By now, I have a pretty good idea of what people want, but I don’t rely solely on the feedback I get, because people don’t always know what they need to reach their goal. In my Ebook Writing Workshop (no longer available, at least not always), I have one goal, and that is to help them take action and get their ebook done. I use the feedback I get, but I also use the experiences I’ve gained throughout the years, and I boil it all down into simple, actionable steps. The biggest mistake you can make at this point is to start adding in information that detracts from the main goal. More information is not better, because the more you have in there, the more overwhelmed people will be, and the less action they will take. Action Step: Open up your favorite word processor. Write your promise at the top. And start outlining the steps you will need to cover to get people to their goals. Next, I write my sales page. I used to dread writing sales pages, but now I view it more like writing a long article. I guess that’s what happens when you write a dozen of them. The trick is to not try and write them from scratch. Most sales pages follow the same template, so find a sales page you resonate with and use their structure. I’ve used almost the same structure for all of my workshops, so I just take a look at the previous workshop sales page and use it as a springboard. Action Step: Find a sales page you resonate with and use it as a starting point for your own. Look at the structure and fill in your own words. A mistake I made with my first workshop was to wait too long before I started working on my first class. On one occasion, I had to release a class on Monday, and when Sunday came rolling around, I hadn’t gotten anything done. I had to spend the whole day creating the class, and it wasn’t fun, but I got it done. Ah, the power of deadlines. Since then, I’ve started drafting my classes ahead of time. I leave myself wiggle-room so I can add in material depending on what people want. Drafting ahead of time allows me to fill in most of the information I want to cover and it eliminates a lot of the stress. Action Step: Start jotting down ideas you have for your classes. Create outlines, fill them in, and add ideas as you get them. Building buzz is something I dismissed for a long time. I assumed people would buy my information product if I just put it out there and it was good, but it doesn’t quite work that way. People miss emails. They’re busy. They don’t understand what’s happening, or what you’re offering. There are so many reasons why people don’t buy, even when they want to buy. And you should do it several times. You see this with Hollywood movies. They start building buzz many months, sometimes years ahead of time. They release short trailers, long trailers, and other goodies to get people excited. Tell people 2-4 weeks before you launch what you’re working on. Start dropping hints and give more and more details as you get closer to launch day. Action Step: Tell people on your interest list what’s coming, when and how it’s all going down. And do it several times in different ways. Once I’ve got everything in place, it’s time to launch. And I say in place lightly, because nothing is really ever in place. Launching information products this way is both scary and exciting, because you’re slapping perfectionism right in the face. By building buzz, your audience should already know when the launch is happening and what’s going to happen. Before launch day, I make sure everything is working. I test all the links, make sure the payment processor is up to par and that it’s redirecting people to the right place. On launch day I send out an email and tell people that it’s open. Action Step: Send everyone on your list an email and announce your launch. And remember to follow-up, because people don’t always take action right away. As I take my customers through my workshops, I ask them for feedback. I let them know that if they have any questions, problems or random comments, they can shoot me an email. I do this because I want to know what’s missing, so I can make my product better. If someone complains, I listen to them. I ask for more details, because I want to get better, and I want to help people get results. To do this, you have to leave your ego at the door, because the ride can get bumpy. Action Step: Constantly remind your customers that they can email you. Encourage them to ask questions and leave feedback, because that’s how you’ll improve. Once you’ve taken people through the first round, take a deep breath and pat yourself on the back, you’ve just created your information product. What I do at this point is make it into a home-study. I gather all the materials, make sure they look good and tie up any loose ends, I then make it available to the world. I now have an information product that anyone can buy at any time. I did this with a handful of workshops I used to have, but I moved all of that into my membership community: Lifestyle Liberation Academy. It’s been an evolution for me. I started with small ebooks, which turned into courses, which turned into a membership site. I didn’t plan this. I simply listened to my customers, and tried to help them even more. Action Step: Wrap everything up, make sure your customers are happy, and create your first home-study. And voilá, you now have your own information product that you can keep selling over and over again. Creating and selling your own information product takes a lot of work, which is why most people never do it. It may also be scary. But the rewards are amazing. If you’re serious about turning your passion into a real business, one of the best ways to do it is to create your own information products. Your first product will never be perfect. Instead, look at it as an experiment. You’re learning the process. You’ll make mistakes, but you’ll also get better. I’ve created dozens of products, and I’m still learning. I’ll never stop learning. I constantly want to get better and help my customers get better results. You’ve just read a lot of information, and it may be overwhelming, so take just one thing from this article and apply it. And if you have any questions, feel free to drop them in the comments below and I’ll answer them as soon as possible. Hey Henri, you definitely know how to push the right buttons my friend. The bit about “Making a promise”… oh boy, the solely thought that I HAVE to make a promise for my own course (and deliver it) gives me goosebumps and not in a good way. The other thing that I really liked was setting a deadline just like you told me back on my blog. I know from experience that this works so I guess I wanted to be comfortable by NOT setting a deadline for launching my training, something that is about to change. Building buzz is something that I have never really cared about but I’m happy that you mentioned it here because I was wondering if people would just arrive to the sales page and buy. It certainly doesn’t looks like what it would happen in reality. Anyway, awesome post bro, I enjoyed every single bit of it, concise, clean yet highly informative with zero fillers, gracias and keep up the good work! Something I did when I was creating my first few products was to eliminate things that overwhelmed me. That meant I didn’t build a lot of buzz, for example. When you’re first starting out, focus on getting the thing done, by whatever means possible. If that means setting a public deadline, then do that. But even when you don’t get it done, you learn and adapt, which you’ve done. Love #1, it’s the place where most people don’t come from with their business and it’s why they aren’t successful. They know the solution, but, they aren’t clear on the actual problem they are solving. Great to see that you outline this as the start to creating a product. Ohhhh #5 really got me thinking and I realize I often underestimate the results because when I look at the results my clients receive it’s substantially more, I need to work on this step! Looking forward to sharing this with my community! Good stuff, Tera. And yes, #5 (Your Promise) is a crucial one. Simple steps, yes. What’s the best way to build a list without buying traffic? I’ll probably write about this in the near future, so look out for a post on this. Thanks Henri for sharing this informative article. what is the very first step seeing i don’t even have a website. Please assist and keep up good work. The first step would then be to find your niche. Find the intersection between what you love to do and what people are willing to pay for. I’m going to have a lot more tutorials coming up on how to set-up everything from scratch, so make sure you come back regularly. I wish I would have read this article a year ago before I wrote my first e-book. Now that I have these tips, I plan on taking your outline one step at a time for the next e-book. You site has been very inspirational. I keep finding myself gravitating to see what is next. I have a lot of work ahead of me, and now I am starting to understand which parts of the puzzle I was missing. I can’t thank you enough for all your help. Thanks for dropping by, Terri. Excellent article. Having build a few lifestyle businesses here in Denmark, I’m just about to launch own information product (membership site) and I’m also writing on a book that should make it out last in the year. One think people tend to forget is to make the freebie right now instead of waiting until they are launching the product. I have a free ebook for people that sign up for my list and I did this even without knowing what I eventually would use the list for. But now that I’m getting ready to launch, it’s great to have a ton of subscribers that I can send my offer to. So if nothing else I would recommend that people created a freebie right now and started building a list! I completely agree. Start building an audience/list as soon as possible. Even if you move to another niche, you can take the people with you that are interested. Great Blog! I really enjoy reading your posts. You are a great communicator.